An American who was working in Liberia to combat a deadly Ebola outbreak has tested positive for the virus, officials with a Christian charity said Sunday. Nancy Writebol, a married mother of two, was the second American to contract the lethal virus in a week, according to Samaritan's Purse, a Christian crisis-relief group that has been working in the area since the outbreak started in March. Writebol is employed by Service In Mission in Liberia and was working with the team that has been treating patients in Monrovia, the Liberian capital. "We request that her family’s privacy be respected during this difficult time, and please keep them in your prayers," the Christian group's statement read. Writebol lives in North Carolina with her husband, David, according to a blog that apparently belongs to the couple. 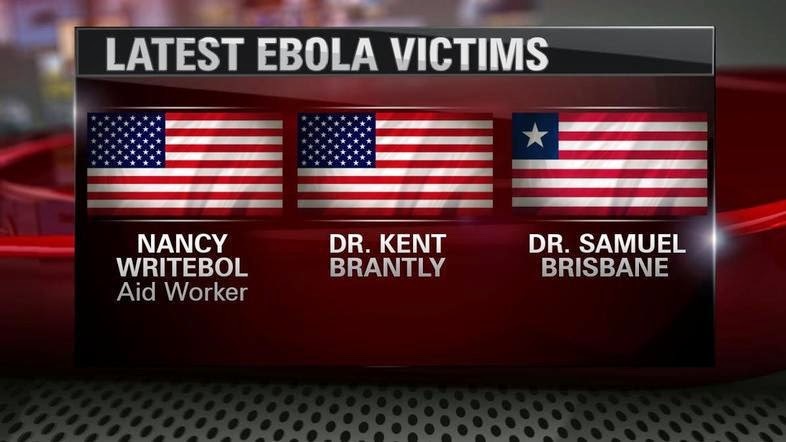 They left for Liberia in August 2013, according to the site. The couple had previously done service work in Ecuador and Zambia, according to Service In Mission's website. David Writebol works as a technical services manager for the charity. 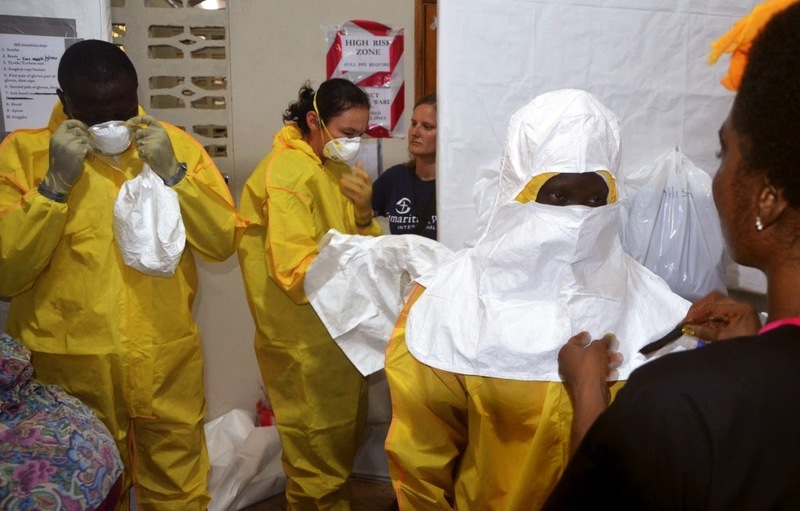 Last week, a 33-year-old Texas physician who served as medical director for the Samaritan’s Purse Ebola Consolidated Case Management Center in Monrovia also tested positive for the virus. The physician, Kent Brantly, has been undergoing treatment. Samaritan's Purse did not offer an update on his condition. The Ebola outbreak has devastated West Africa in recent months, killing 672 people since March, according to the World Health Organization. That toll is more than double the number of people killed in the 1976 Congo outbreak, long considered the deadliest in history. 60 outbreak sites in the country this year. Ebola, the WHO says, is an "acute viral illness often characterized by the sudden onset of fever, intense weakness, muscle pain, headache and sore throat. This is followed by vomiting, diarrhea, rash, impaired kidney and liver function, and in some cases, both internal and external bleeding."